Blue and white ginger jars are a favorite motif for home decor. 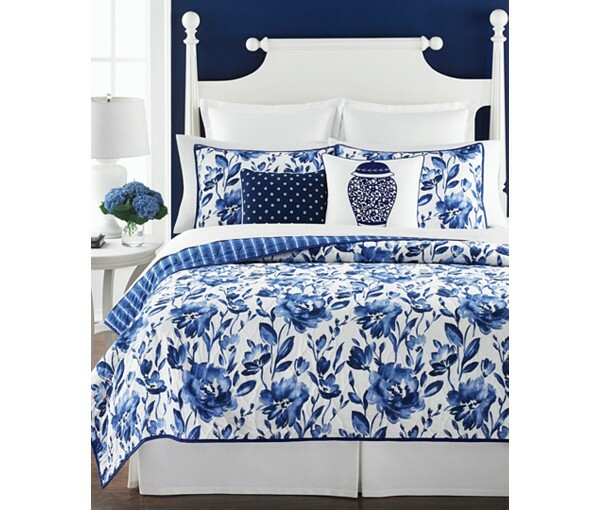 The rich blue and white watercolor print on this quilt set the stage for elegance in any bedroom. Bold blue stripes on the reverse side add contrast. The accent pillows work well in the bedroom or as an accent piece in any room. I plan to pick up a few of these for several rooms in my house. 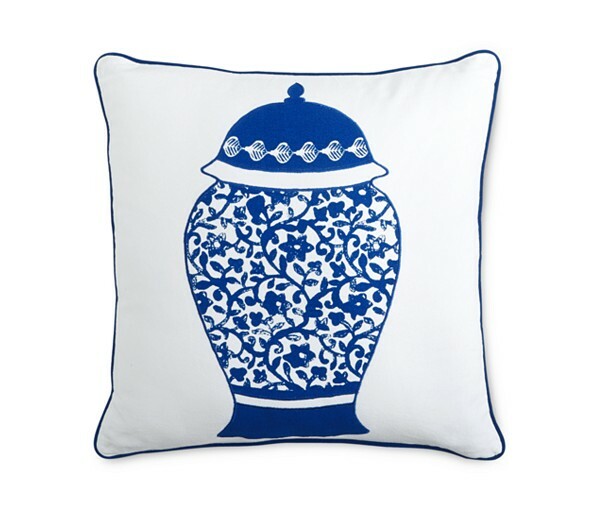 The blue and white chinoiserie ginger jar pillow matches almost anything. The 18" square pillow is delicately embroidered with a ginger jar scroll work motif. 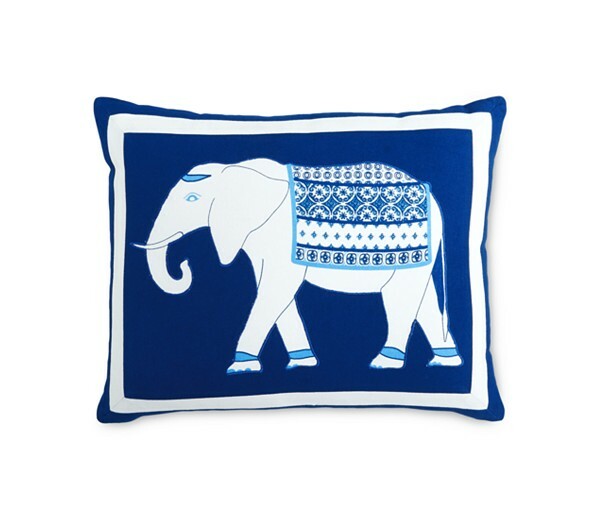 Elephants also top my list of favorite motifs, so this complementary blue embroidered elephant pillow to the ensemble is an added bonus. I love the detailed embroidery of the elephant's blanket on this square pillow. Right now, these gorgeous pillows and the bedding collection is on sale for 50% off the original price. Take an extra 15% off the already reduced price with the code WKND. 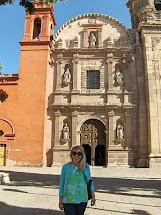 Have you ever done a room or home tour on the blog? I would love to see how you incorporate this theme into your home! I've done a few rooms in the past, but will certainly consider this for a future post!